Record vocals over quality studio beats. 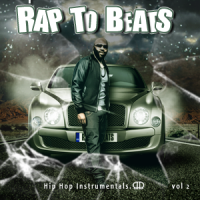 Rap to Beats comes with an impressive collection of quality beats all accessible for Singers and Rappers alike. Choose a beat, record, playback and keep your demos as mp3s.Free version, ad supported, limitations, will record via your device microphone. Languages added Spanish, Russian, Portuguese, GermanNew Urban Bangers and experimental alternatives to conventional hip hop available for you to practice your skills and test new ideas.Practice as much as you can whenever you can to beats with different tempos to find out what BPM brings out the best in your lyrical, rap or singing style. Play it back to family and friends and create songs on the fly.Optimal recording level is at 50% of devices max volume.Rap to Beats is designed to help sharpen your skills, broaden your outlook and to practice anywhere, without having to set up any equipment.Files will be saved on your device in the Demo Tape folder in your Music folder, (Music/DemoTape) previous versions save to your root storage/Demo Tape. So what are you waiting for? 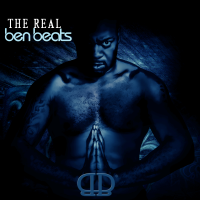 Grace the world with your talent and get your Rap to Beats now! Record higher quality Vocals when earphones plugged in. Individual mixing control for vocals and backing track. Now almost 50 FREE BEATS! gaga on LANDMARK 1 MILLION DOWNLOADS! !